Your Windows system accumulates lots of junk files in the form of duplicate photos, music & audio files, videos, documents and more. Deleting this duplicate junk could be a cumbersome task when done manually. Thus, we suggest you use duplicate image cleaner tools for instant and effective results. Let’s discuss some of these effective tools here. Use this powerful duplicate file cleaner tool to find and delete all similar and exact match files on your Windows system. It works on advanced algorithms to help your de-duplicate even the remotest corners of your device. Once it completes scanning your device storage, it will display auto-mark results to save your time & efforts. You can use this tool not only to de-duplicate internal device storage but external device storage as well. Using this nifty solution, you can recover GBs of disk space in a jiffy. 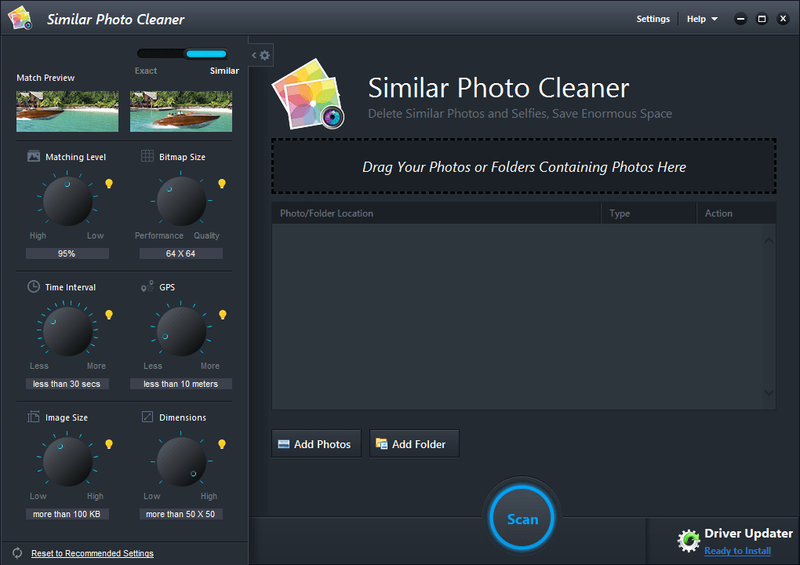 Use Similar Photos Cleaner to find and delete all similar photos & selfies on your device. It offers automated settings to help you clean your device from all duplicate photos effectively. Using this smart solution, you can recover GBs of disk space in no time. While searching for duplicate photos, you can simply drag & drop the photos or folders and it will help you de-duplicate your photo library instantly. Further, it supports external drives and offers preview option to help you see files before you delete them. Once it completes scanning of your system hard disk, it will display auto-mark results to help you save your time and delete unnecessary junk. Duplicate Sweeper is an effective duplicate image cleaner tool that is designed after a long research of similar file patterns & behavior. It reduces your manual efforts to search & delete duplicate image files on your device. This agile, effective and safe tool makes your de-duplication process seamless. While searching for similar photos, it looks for same file names and similar content. During the process, you need to select the location that you want to de-duplicate and it will work efficiently to help you do that. Alternatively, you can drag & drop the files to the application. Further, it helps you review results before you delete any file. AntiDupl helps you automate de-duplication process to save your time and reduce manual efforts. It supports all major image file formats to offer you effective cleaning. 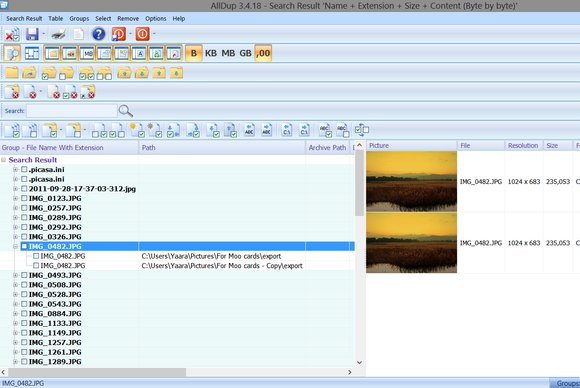 While looking for duplicate files it scans files based on content thus it offers more accurate results. It also helps you deal with image files with defects. Using this free and open-source software, you can effectively organize your photo library. It supports multiple languages to help users around the world. 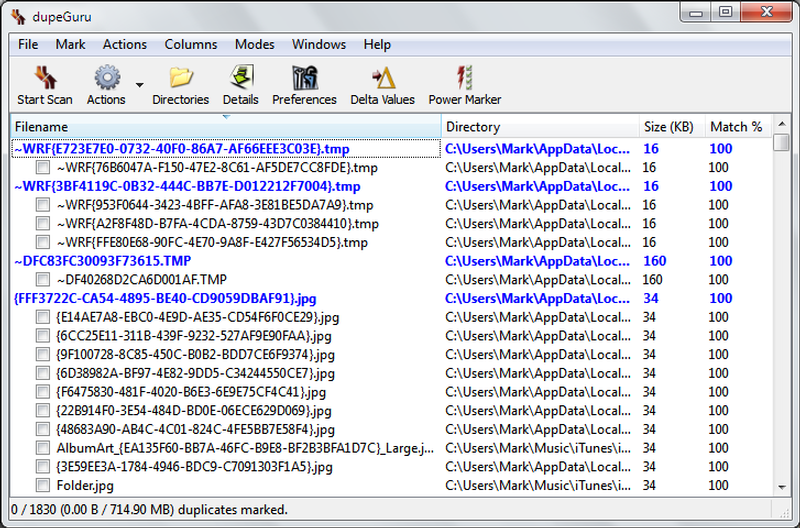 Use this freeware tool to search and remove all identical image files on your Windows system. It works on fast search algorithms to help you find and clean all types of duplicate files including identical photos, music & audio files, movies, documents and more. During the search process, it looks for files with the same name and same content to offer you effective results. Here, you can perform a search in different drives, folders, media storage and external drives. Once it scans and deletes the identical files, it moves them to recycle bin. You can also move these files to separate backup folder from where you can recover the files when needed. To start scanning process using this tool all you need to do is to drag & drop the files to scan area and it will start looking for all similar & exact match files. Once it completes scanning the selected files, it will display you results in a convenient manner and help you decide which files to delete or hold. During the scan process, it will search for files based on file name, file size and file content. Furthermore, you can customize the similarity threshold to set the matching level of files. 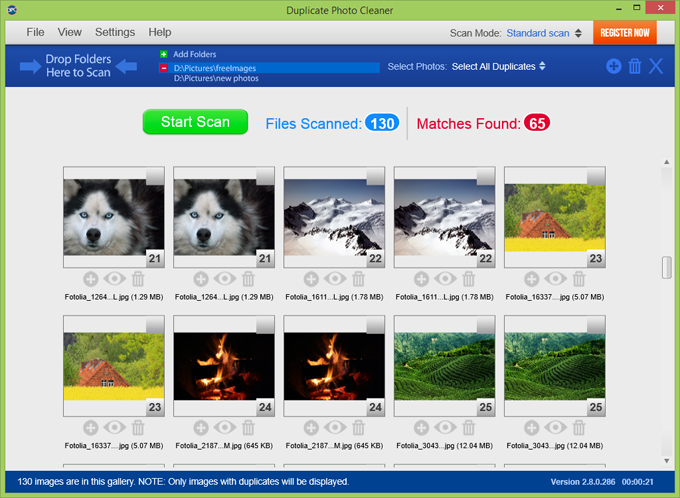 Easy Duplicate Finder makes deleting identical files easy and fun. It allows you to find and delete all types of similar files including photos, music & audio files, videos, documents and more. Here, you simply need to drag & drop the files that you want to de-duplicate. It is equipped with advanced search methods and custom scan modes to offer you effective results. Using an ultra-fast search engine, it offers results with 100% accuracy. In other options, it offers a preview feature, undo button, cloud cleaning option, Wizard and assistant for super-easy duplicate file management, avoids accidental deletion of system files etc. dupeGuru supports Windows, Linux, Mac and all major platforms. During the scan process, it will find and delete all duplicate files that have similar name or content. It works on fuzzy matching algorithms to find similar name files even when they are not exactly the same. It allows you to tweak matching level while searching for identical files to find similar files or exact match files. In addition to duplicate photos, it also works effectively with duplicate music files. You can use this safe and effective tool for instant results. So, these are some of the best duplicate photo remover tools, you can use to de-duplicate & organize your photo collection. If you know more such tools, then feel free to comment below. Deleting duplicate photos in large numbers could be a cumbersome task when done manually. 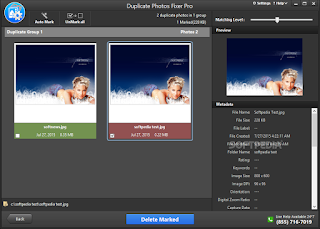 Thus, we suggest you use duplicate image cleaner tools for instant and effective results. Here's how you can get TuTuApp VIP Free Download on iOS 11 running on your iPhone or iPad jailbroken with Electra jailbreak.